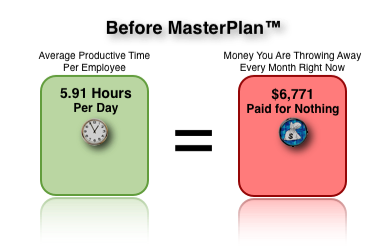 Are we saying that by using MasterPlan™ you will eliminate ALL 2.09 hrs per day per person that your team may be wasting? It could. But what if it just cut it by half? You’d be getting a 10 times return on investment. That’s not including the value of having less drama, better accountability, systemized & consistent work, better service to your customers, and more free time. 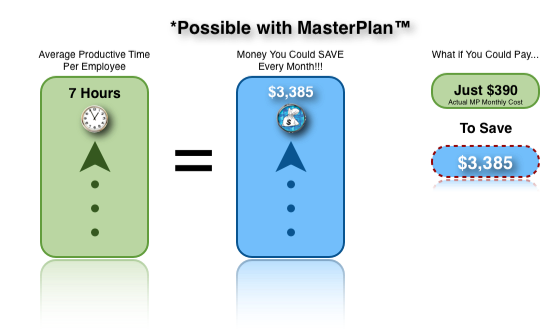 When you add it all up, we think you’ll agree MasterPlan™ is a tremendous value. All user fees are month to month. There are never any long term contracts. We think if you find something valuable you’ll keep using it. If you don’t, it should be easy to stop. Accordingly, you can cancel at anytime. No questions. User fees are billed monthly in advance. President / Owner – This user type can view all users, all reports, set departmental goals, conduct employee appraisals, change titles, change reports to, score support staff, approve Manager’s Anchors and Projects, and set performance bonus parameters in addition to accessing to her/his own personal MasterPlan™ which calculates a performance score and/or performance based bonus. Manager – This user type can view any direct reports, view departmental reports, set departmental goals, conduct employee appraisals, score support staff, and approve direct report’s Anchors and Projects in addition to accessing to her/his own personal MasterPlan™ which calculates a performance score and/or performance based bonus. Employee – This user type can view departmental goals, score support staff, and access her/his own personal MasterPlan™ which calculates a performance score and/or performance based bonus. Support Staff – This user type is report and score only. Pass/Fail checklists can be created for this user and then printed for manual use. Later manual scores can be entered for this user type which calculate a performance score and/or performance based bonus. *Savings and Productivity Disclaimer – As with any business tool, your results may vary, and will be based on you and your employee’s individual capacity, business experience, expertise, and usage practices. There are no guarantees concerning the level of success you may experience. We cannot guarantee your future results and/or success. There are some unknown risks in business and on the internet that we cannot foresee which can reduce results. We are not responsible for your actions. The use of our information, products and services should be based on your own due diligence and you agree that our company is not liable for any success or failure of your business that is directly or indirectly related to the purchase and use of our information, products and services. Certifications – content and exams to establish a skill set for a given job function. 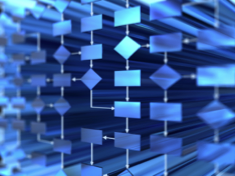 Modules – an electronic document designed to guide you through the process of building a given system for your business. Projects – a defined scope of work in which we build a system or technology from beginning to end for you. Strategic Coaching – a process of education, support, expert advice, and accountability in which we're there to make sure the you reach full potential. Training Courses – short 4 - 6 week sessions designed primarily for managers, our courses cover the essential skills of all good managers. "Paying people for results. It's so simple, but no one ever had an easy system to make it happen. But with MasterPlan™ everyone works like an owner...everyone!" "Paying people for performance instead of paying for time has been THE missing ingredient that makes everything else work! I actually love my business again." You want everyone to work as hard as you do? Then MasterPlan™ is the tool for you! The benefits of ownership can finally be yours. Work less, earn more, finally relax! 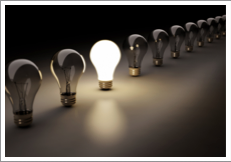 Unleash the potential of your team - incentivize the right work and watch the miracles.